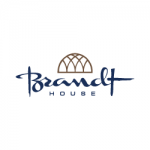 Brandt House is a three-and-a-half-acre, turn-of-the-century estate located in a charming residential area of Greenfield, just minutes from I-91 and Route 2 in northwestern Massachusetts. Greenfield and the Pioneer Valley blend culture, history, adventure, and hospitality into an unforgettable rural vacation experience. Beyond the comforts of our guest rooms are a variety of public spaces and amenities. Relax in our plush Living Room complete with a cozy fire, or put your feet up and read a book in the library or in the breezy Sun Room. Outside, enjoy a tree-lined wraparound porch and access to miles of scenic hiking trails behind our gardens.